The luxury SUV models made by Jaguar are some of the most capable and refined machines in the world, and when you shop for your next new vehicle at Jaguar Charleston, you’ll be able to take advantage of leading Jaguar SUV lease deals. Models like the Jaguar F-PACE and the Jaguar E-PACE offer superior technology and performance features, and our financing team will work with you to ensure that you get the best possible deal on the model that you select. When you’re ready to learn more about your options, get in touch with our team in Charleston, WV. 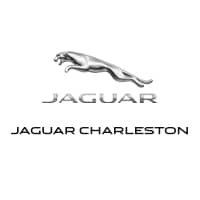 Why Lease at Jaguar Charleston? When you’re ready to take advantage of our Jaguar SUV lease deals, visit our Charleston Jaguar dealership to begin an unforgettable adventure. You’ll find plenty of options for Jaguar F-PACE lease deals and Jaguar E-PACE lease deals. We’ll talk you through the entire leasing process with the help of our finance department.